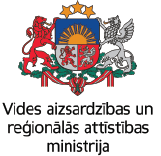 Euroregion „Country of Lakes“ directorate office in Lithuania hereby invites local municipalities from Latgale region and Lithuania to participate in international training – culture working group and experience exchange visit on July 13, 2018 in Zarasai. The aim of the event is to strengthen interregional cooperation between municipalities of Latvia and Lithuania and to discuss, how to make improvements in the capacity of employees in culture-related industries. This will be the first meeting of the international culture working group. We kindly ask to inform the organisers of the event about the participants by sending an e-mail to research@futuresoc.com including the name, surname and contact information of the participant by July 11, 2018. The number of participants is limited.